Many of our clients have set up social media accounts but just don’t have the time to use these platforms effectively. Yet social media is a great way to reach new potential customers, raise your profile online and learn more about your industry. 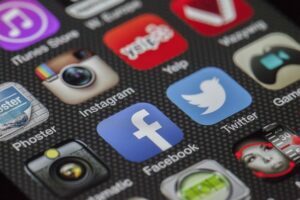 Some business owners are unsure which social media platform would be best for them. We strongly recommend choosing just a couple of social media platforms based on the demographics of your target customers. We are always happy to recommend the best social media platforms for your business and to manage your accounts on your behalf. We use Twitter, Facebook, Instagram, Pinterest, YouTube, Google +, Snapchat and LinkedIn to help our clients to reach new customers, liaise with new customers and make valuable new contacts. We offer a range of social media packages based on the hours to be spent. We can manage all of your social media platforms and write blog posts for your website too if needed. Most of our social media clients are based in South Wales as we need to work closely with you. We cover a wide area including Swansea, Neath, Bridgend, Barry, Cowbridge, Penarth and Cardiff. All of our work is documented and the results are monitored so that you can see what you are getting for your budget. Please get in touch for a chat to find out more. I need someone to take over my social media accounts. We use facebook and twitter although I’m interested in using other ones if you think its worth it. We’re using a national social media company but I would like to use a local firm. We need to sell more products from our online shop. Can someone get in touch? Thanks for your enquiry Carl. We will be in touch via email asap.